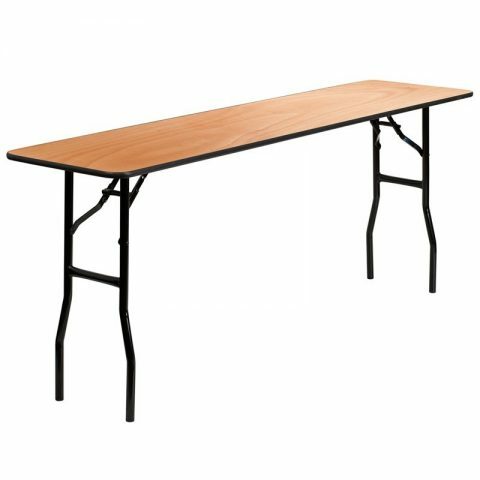 36": These tables can be used for the newlyweds, cake, or as an appetizer table. 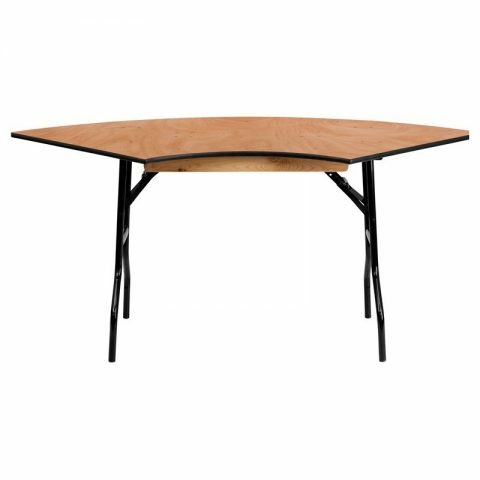 48": These tables are great for round seating or as a food service table. Each seats 4-6 people. 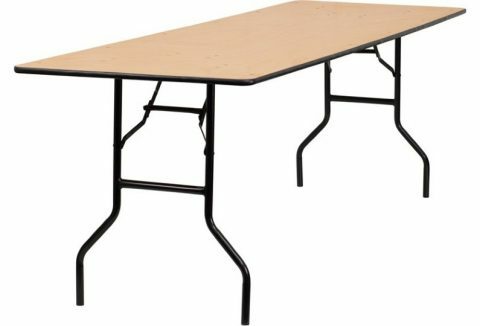 60": These tables are the most common round table for dining. Each seats 8-10 guests. 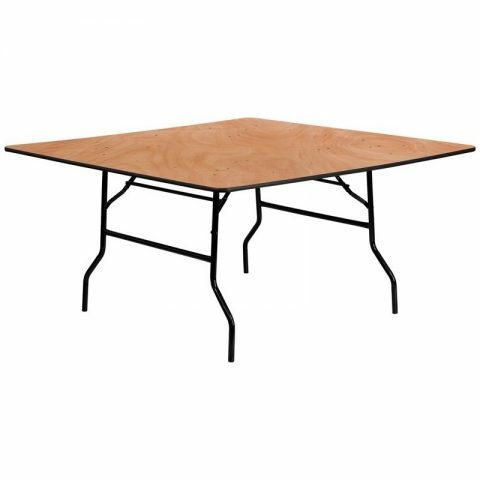 30" X 6' / 30" X 8': These tables are most commonly used for food service, bar service, DJs and caterer prep work, however, they can certainly seat guests. 30" X 6' can seat 6-8 guests. 30" X 8' can seat 8-10 guests. Upgrade to a 36" X 8' for additional guest comfort. 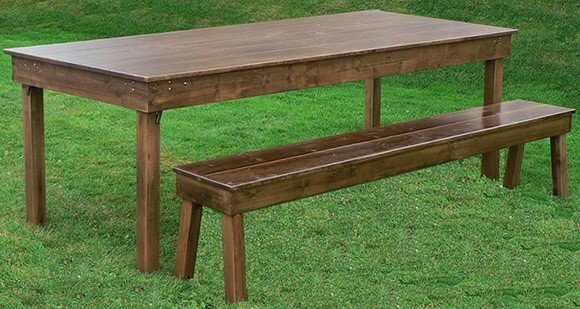 42" X 10' “Tuscan” tables are wonderful for dinner seating and can comfortably seat 10-12 guests. 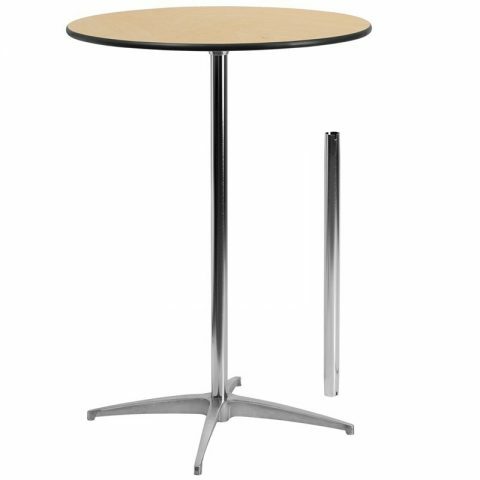 Café tables are small and easy to place. They work great inside and outside of tents and are fabulous for cocktail parties. Style choices include both round and square tabletops that are 30" in diameter. 60" square tables are the most commonly used for dining and allow seating for 8 guests. 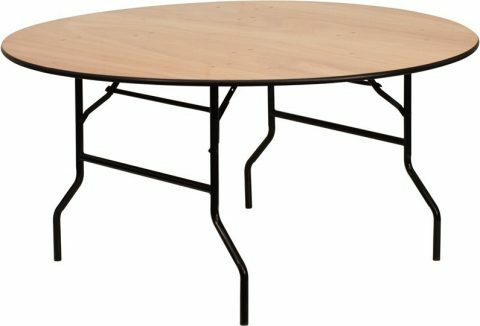 They can be mixed with 60” round tables to add variety. Serpentine tables can be used for food and bar service. They are in quarter sections, meaning 4 serpentine tables will make a round table. These could be used around center poles for placing appetizers. 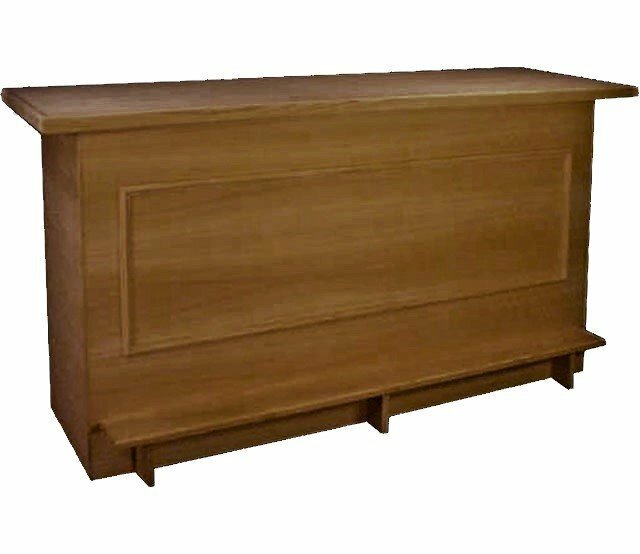 Bar Back tables are great for placing glassware and bar service equipment on. They could certainly be used for appetizers or gifts as well. 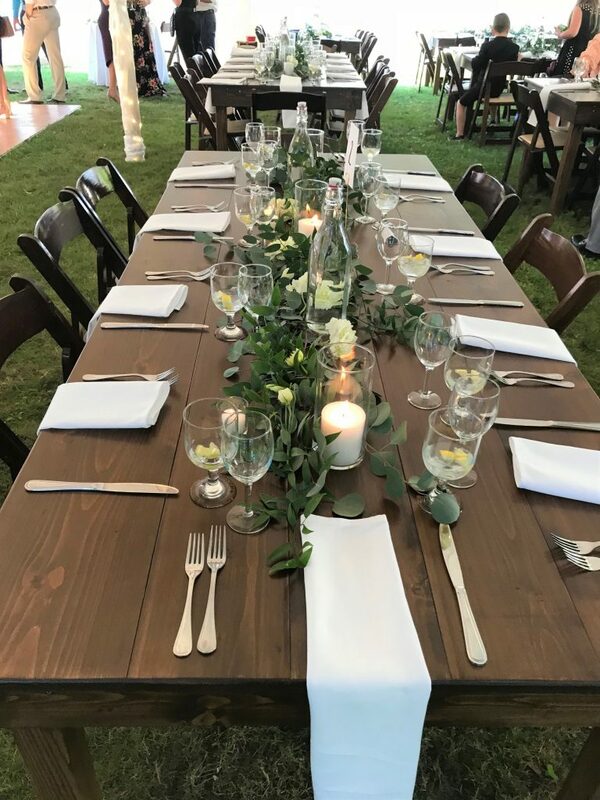 Our 8-foot farm tables are a perfect addition to any event. 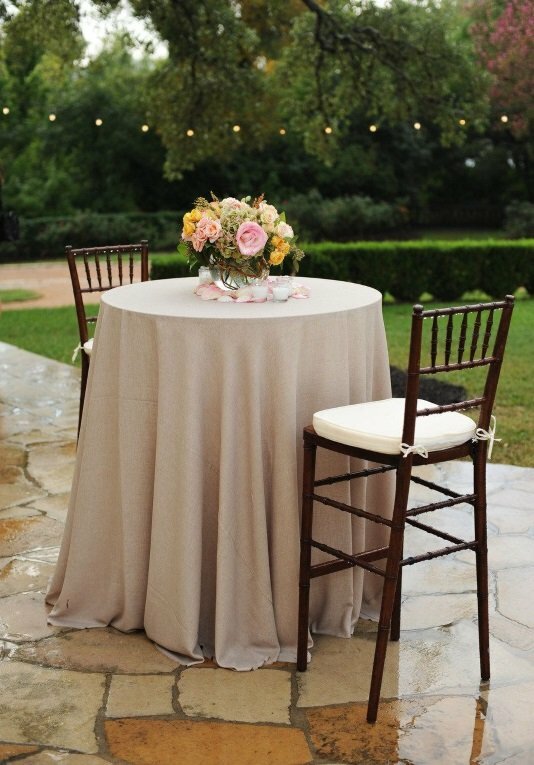 Whether you decide on a few to accent your tent, or to seat all your guests, they are sure to impress. 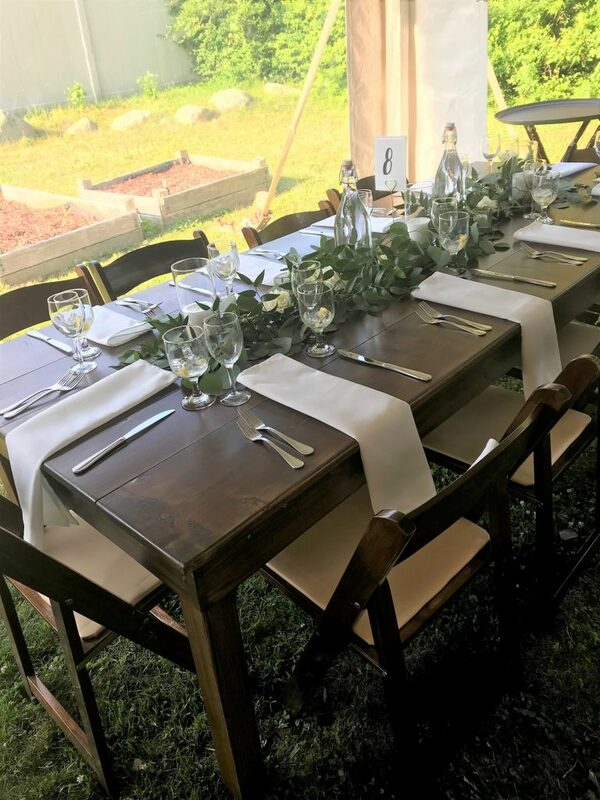 Our farm tables will seat 8-10 guests with our benches, fruitwood chiavari chairs, or fruitwood garden chairs. Our wine barrels are locally sourced and a great way to differentiate your wedding from others! 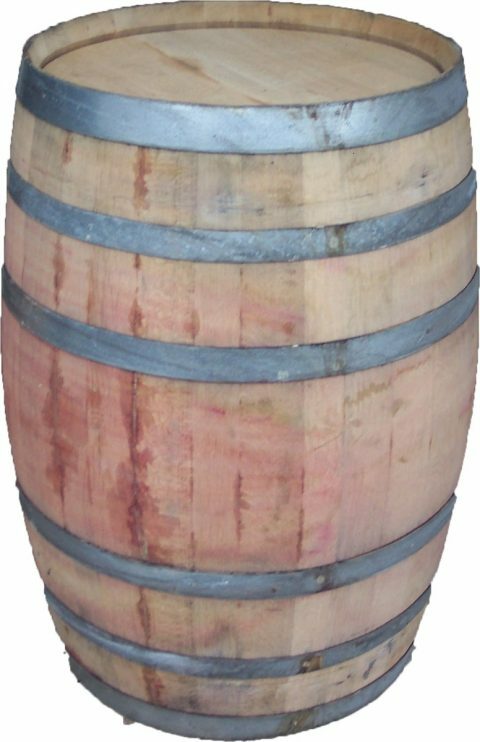 Use these wine barrels as cocktail tables or decor. 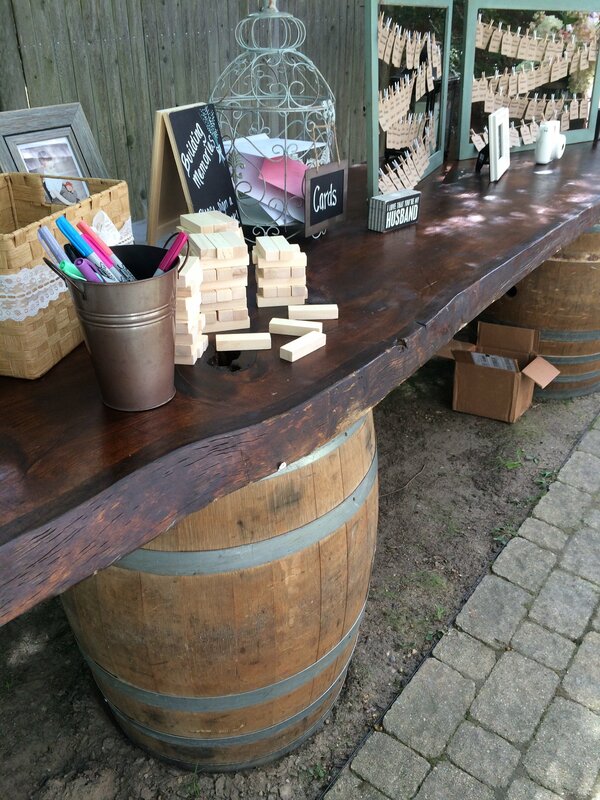 Stack a few side by side and add a "live edge" counter top and create stations, seating charts or a bar service that will be unforgettable! Our 6-foot solid wood bar is a fabulous addition to your tented wedding. A chair suitable for any occasion! Perfect for weddings, bridal and baby showers, birthdays, cookouts, and most indoor or outdoor events. 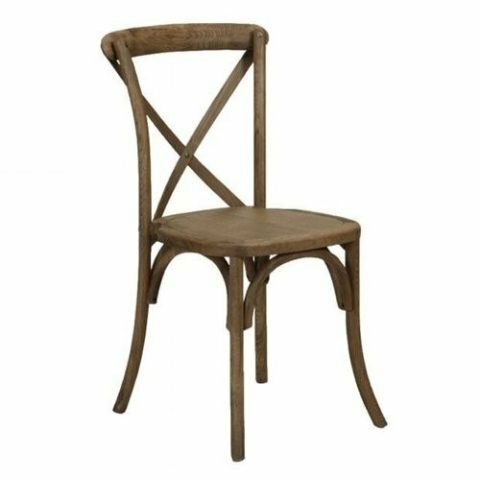 If you are looking for a more decorative chair with added comfort, the Garden Chair is available in multiple finishes and has a soft cushioned seat. 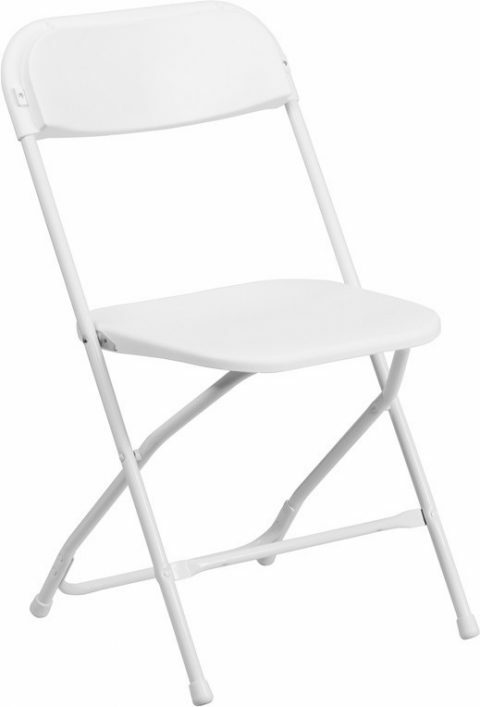 This chair is ideal for wedding ceremonies, receptions, family gatherings, and formal occasions. 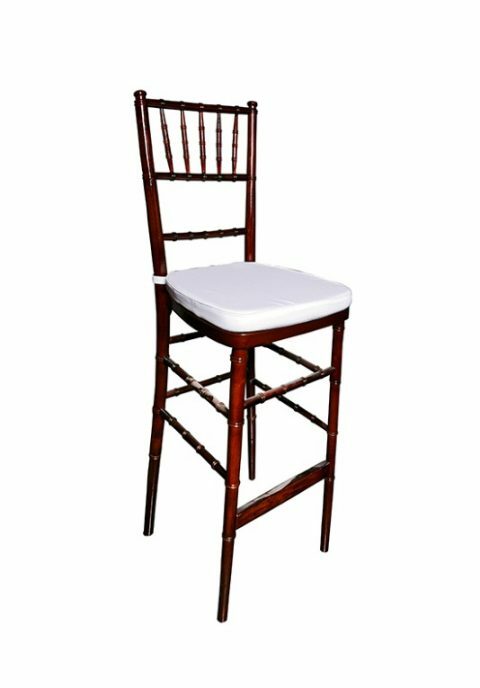 The Fruitwood Chiavari Chair is an elegant, dark solid wood chair with a high back and a cushioned seat for added comfort. 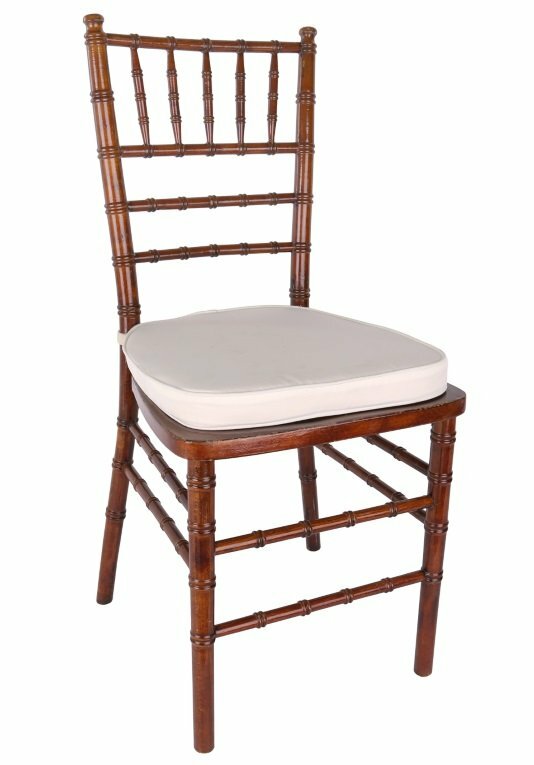 This chair is beautiful indoors and out and fantastic for wedding receptions, dinner parties and formal occasions. 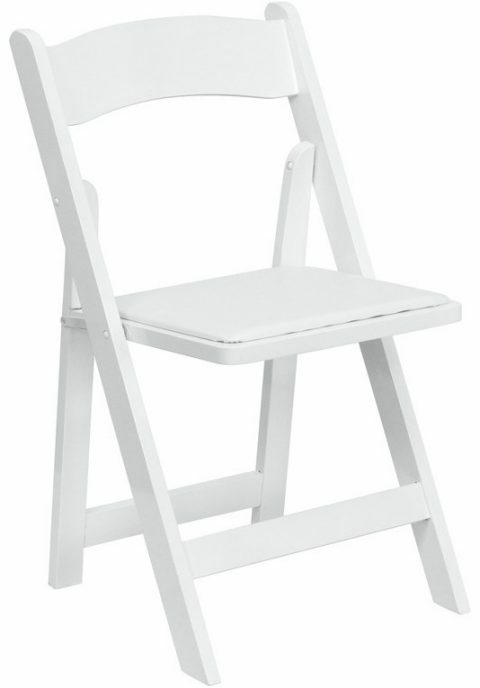 This chair is also available at cocktail or café table height, and can be arranged around our 30” café tables in groups of 2 and 4 as seen below. 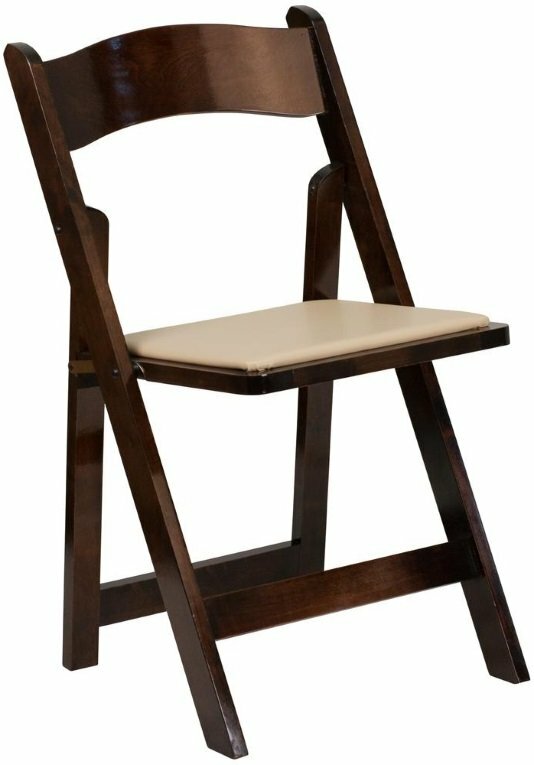 The Cross Back Chair is new to our rental inventory! 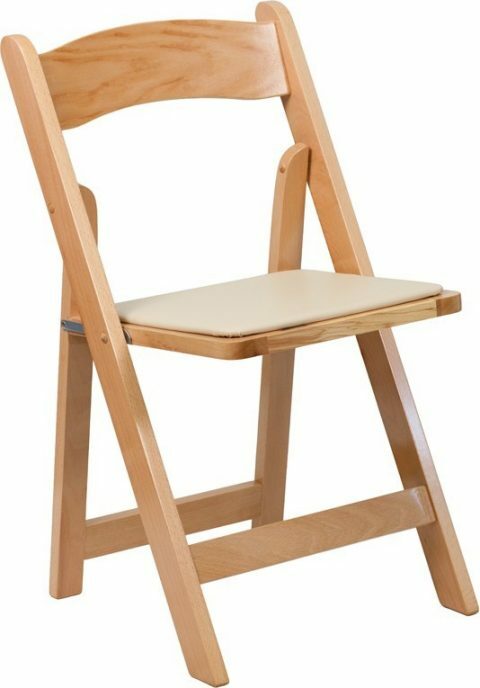 This chair is a wonderful addition under any tent and matches our farm tables. It can however be used with any table style, and is a surefire way to make an impression on your guests. It can be accompanied by a white or ivory cushion if desired.